When your USB key is unlocked, you will find a small icon in the taskbar with a menu. In summary, these are settings you defined when the USB key was initialized. 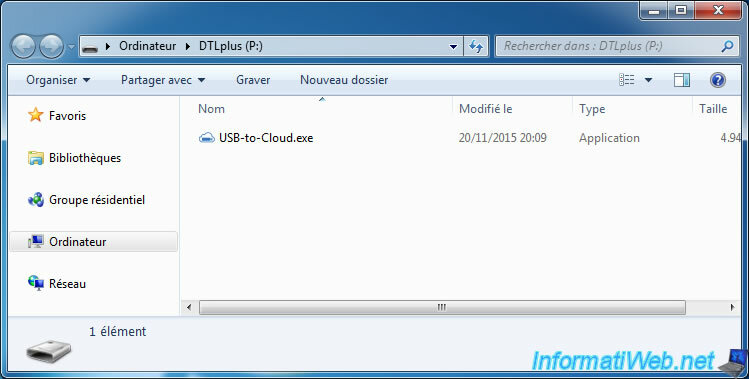 The "Browse DTLocker+ G3" option will allow you to access the contents of the USB key. 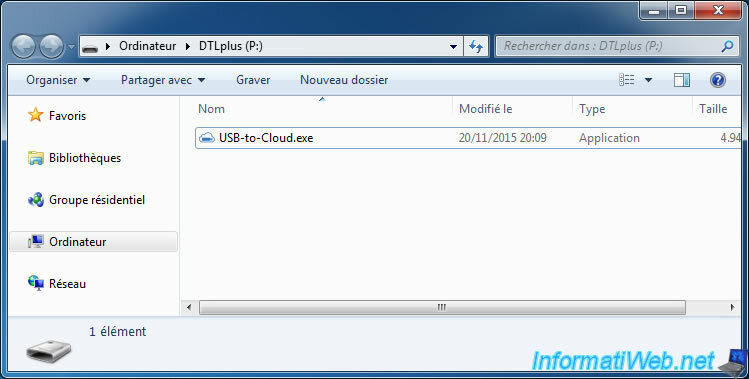 The "Format DTLocker+ G3" option will allow you to access the contents of the USB key. The "Online Support" option will redirect you to the Kingston support. For the Kingston DataTraveler Locker+ G3, here is the direct link. 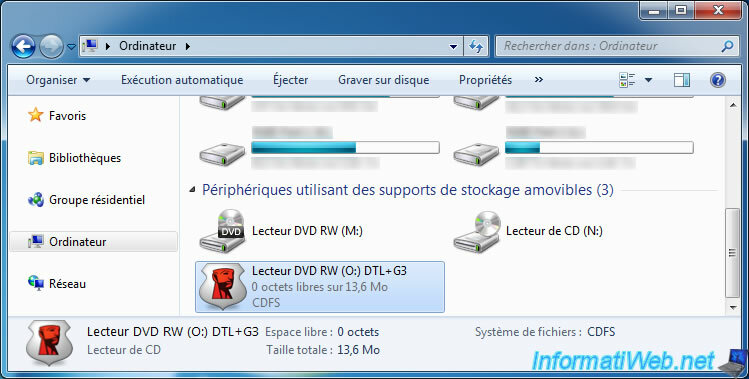 To lock the USB key, simply use the "Shut down DTLocker+ G3" option of the menu accessible from the icon present in the taskbar. Once locked, the USB key will be ejected automatically by Windows and will disappear from the workstation (or computer). To unlock the USB key, it's very simple. 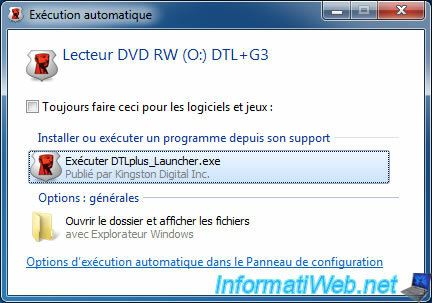 First, plug it into an USB port and run the "DTLplus_Launcher.exe" program. At the moment, since the data are encrypted, Windows only has access to the fake CD drive. Type your password and click "Login". If the password is correct, you will have access to the contents of your USB key. Otherwise, the program will display an error message in red. If you no longer use your USB key for a long time, you may forget your password. Nevertheless, your USB key will not be unusable. In fact, Kingston gives you the possibility to reset your USB key and erase it completely to be able to reuse it. Warning : all the data present on the USB key will be lost and can't be recovered with specific programs (because of the encryption). Click OK to format the USB key. Specify the new password to use. The program formats your USB key. Now, your key will be usable again as before.